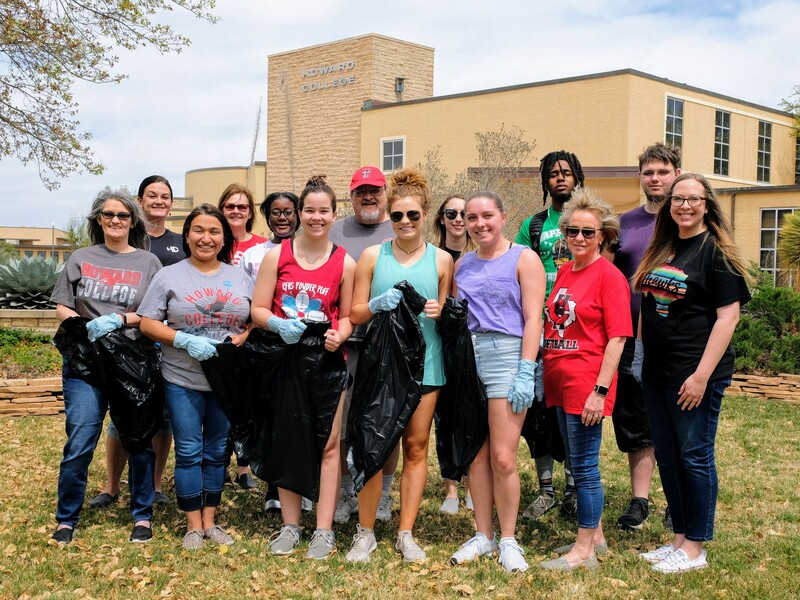 Several students and staff of the Big Spring campus joined forces this afternoon to clean up the property around campus. Each spring, Howard College and SWCID lend their hands to the group efforts of Keep Big Spring Beautiful. The local organization is planning their annual community Trash-Off event on April 13th in the Heart of the City Park. To find out more or participate in the city event, visit their Facebook page @keepbigspringbeautiful. Howard College students and staff getting ready for the annual Trash-Off event.